European Business Baccalaureate Diploma (EBBD) was created in a Comenius Multilateral Project in 2010-2013. The diploma responds to the needs of graduates, since their competences vary depending on the country and the student. Because of this it is difficult for working life to employ and for the institutes of higher education to admit the students. The diploma covers the competences in the area of business and administration but also the skills and competences needed for working and studying abroad. Diploma was developed for young students in school education and several schools are implementing it in six countries. An association EBBD e.V. was established before the Comenius project for the cooperation of business educators and for the accreditation of EBBD programs. After the previous project it has occurred that also in the adult education, where informal and non-formal learning is validated, there is a need and interest for adopting this kind of diploma. Additionally the feedback from European Commission in the previous project was that the diploma and the accreditation process are too complicated. This opinion is shared by the schools, which have been accredited. Project’s main objective is to develop the diploma to suit also non-formal and informal learning and simplify the accreditation process. By developing the diploma criteria to be based on learning outcomes and by writing them as competences, the structure of the diploma will be simplified. Additionally other requirements of the diploma will be modified to be more suitable for all target groups. The competence requirements of the institutes of higher education will be implemented in the diploma’s requirements. The diploma’s development work will also take into account the future needs of working life. Important objective in the project is the dissemination of the understanding of the competence based learning and the dissemination of the EBBD diploma. Through dissemination and the large network of the partnership the diploma will be more recognized by European schools, the students, working life and higher education institutes. Helsinki Business College is a private college, which is supervised and financed by the Ministry of Education. The college has 3 100 students and over half of them are full time students. The college provides mainly education for the secondary level Vocational Qualifications in Business and Administration and in Information and Communication Technology and is the largest provider of secondary vocational education and training in these fields in Finland. We have also a department for adult and further education. The objective of the college is to educate professionals and thus support the development of working life in the capital region. The International Business College Hetzendorf is a vocational school in the secondary and tertiary sector specializing in the field of international business and trade and providing its graduates with a general certificate of education and business licenses. 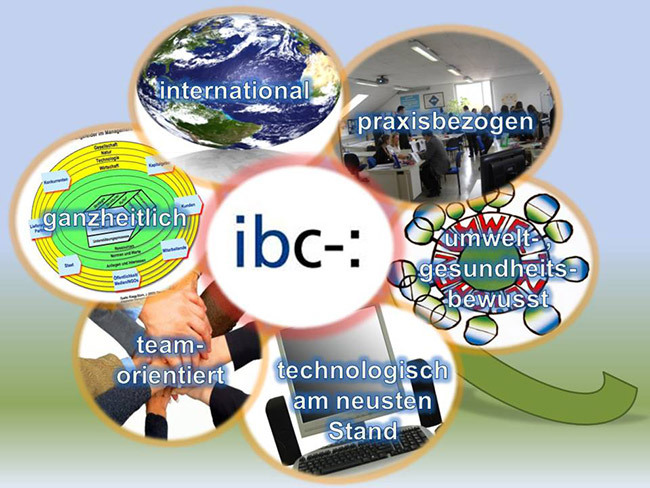 Through a team-teaching model IBC provides a bilingual education in English and German with French, Spanish, Russian and Chinese as second foreign languages. In special subjects students acquire cultural awareness and all the skills necessary for operating in foreign markets. We have a long term experience in operation practise firms and numerous partners in the European practise firm market. Since 1996 we are engaged in total quality management using the EFQM model. Aalborg Business College is a centre for new knowledge. We offer a wide variety of business-oriented degree programmes and courses for teens, adults and companies. The combination of an international perspective on day-to-day events, a strong teaching staff, and on-going development of our programmes makes us one of the region’s preferred institutes of learning. · Courses – training programmes for private enterprises and the public sector (e.g. IT, languages, economics, sales and communication). Summa Business Eindhoven is a large regional institute providing a wide variety of vocational training courses. Its Trade and Marketing College ranks among the best in the country and offers courses in retailing, wholesaling and international business. A range of modern teaching methods as well as quality-oriented staff make this a very attractive college for those students wishing to acquire essential business skills. · level 4: advanced studies in International Business, Account Management and Wholesale Management. “Andrássy György” Vocational School of Economics is 90 years old. We would like to keep our traditions along with a continuous renewal. Our basic activity is secondary vocational education for students in the fields of economics, trade and marketing and tourism. Our objective is that through a practise oriented training the students can achieve competences, which enable them to find a good job. We attach great importance to develop competences in foreign languages, IT and mathematics. BBS Wirtschaft 1 is a VET college which offers a wide range of vocational education and higher commercial courses. The college has about 2,100 students and 90 teachers in total. Students at our college are not only supposed to acquire a broad knowledge in Business Studies Economics and Computer Information Systems, but also to form their own personality by joined-up thinking, value oriented behavior and responsible participation in public life. About 1,500 students are traditional apprentices employed by our dual partners, companies based in the Rhine-Neckar Metropolitan Region (see https://www.m-r-n.com/en/home.html ). Many of these companies are export-oriented, some of them even global players, like e.g. the chemical company BASF in Ludwigshafen. Besides the practical work in the companies, which provides vital experiences for the apprentice’s further success on the labor market, the apprentices attend courses at our college in the fields of Business Administration and Computer Information Systems. With approximately 300 students our A-level education is also a very important part of the college. Subjects during senior classes focus on economic sciences, especially the advanced courses in Business Administration (bilingual program), Economics and Computer Information Systems. EfVET is one of the leading European-wide professional association, which has been created by, and for, Vocational Education and Training (VET) providers .EfVET’s policy and strategy is formulated by its member colleges and VET institutions. EfVET represents 25 countries in Europe, 200 learning providers, over 1500 VET institutions and more than 2 million learners.